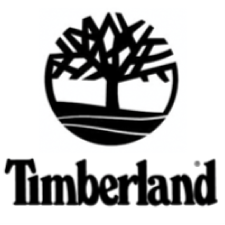 Timberland is looking for a Senior Demand Planner Apparel and Accessories, based in Stabio Switzerland. * Accountable for the Apparel and Accessories seasonal demand plan and need to buy creation based on Merchandising and Sales input, financial target, historical data, market trend, excess inventory levels. * Works together with Merchandising on the selection of the product line (SKU count, product flow), with Sales on the line segmentation and sell-in and buy strategy alignment, with supply planning/sourcing to manage capacity constraint in order to maximize revenue and optimize inventory. * Responsible for driving continuous cross-functional process and forecast accuracy improvement. * Manage 1 direct report (responsible for Accessories) and responsible for team activities set-up, guidance and development. * Contributing to the monthly landing point and cross-functional demand review meeting and deck. * Fully accountable for the Apparel and Accessories planning performance and management. * Analyze and manage the seasonal target by market, channel and category together with the Merchandising and Sales department in order to produce the most accurate forecast to support demand-supply balance. * Work closely with merchandising team to the line efficiency and capacity optimization (style count and product flow) and with Sales force to align sell-in and buy strategy and manage the risks linked to forecast variation. * Drive Forecast accuracy improvement together with sales in order to maximize revenue and optimize inventory. * Work with Global Supply Planning/Sourcing to manage capacity constraint and allocation. * Analyze shortage and excess inventory positions to orders to guarantee maximum efficiency. * Support S&OP deck preparation. * Ad hoc analysis and reporting as required. * Able to prioritize workload, proactively drive process improvement for the benefit of the business, also ability to liaise with other departments within the business. * Computer literate, proficiency in excel is a must and an understanding of forecasting/demand planning as well as reporting tools (TXT, Cognos,..) is an asset. * Fluent English both oral and written. * 5-6 year of experience in planning role, including people management.